Realty411 is re-publishing this previously-written post so that our new readers can benefit from these timeless tips. As the upcoming market slows down across the country, investors need to be especially cautious and become educated like never before. It is for this reason that Realty411 will increase its frequency in publishing and produce more events in 2019 than in previous years. Stay tuned for more fantastic strategies, quality content, and premiere networking opportunities. Happy New Year! May 2019 bring you and your family prosperity and health. There is something special about the beginning of a new year. It’s a time to reflect on the last twelve months and examine our accomplishments, and failures. It’s a wonderful season to focus on our mission and figure out a strategy for the future. With this in mind, I cannot stress how important it is to write down your goals for the upcoming year. When you join pen to paper and have an honest self-talk about what it is you need, and want from life, it truly changes EVERYTHING. Successful people always plan and prepare. You cannot chart your path without knowing where you want your final destination to be. Every year, I write down my goals. This New Year’s homework was first introduced to me by a successful real estate broker/investor who spent an entire afternoon writing down his goals. He actually didn’t just write them down as one, two, three; instead, he would write the goals down and then go into specific details for each one. His New Year’s Resolution list was actually many pages long! As you can imagine this broker was very successful. He was a multimillionaire by age 29 with multiple investments around the nation and a thriving agency business. Now you certainly don’t have to write a thesis for your goal-setting to take root. Simply write down some goals of what it is you wish to accomplish for the upcoming year. Some people make one goal; a typical one is to lose weight – everyone seems to have that one on the list! I normally write down 10 goals and anticipate six or seven of them to materialize by year’s end. I also like to mix it up and not only focus on business goals, like buying real estate or expanding our media business or antique clock/watch shop, but also throw in personal ones as well… like being more patient with my family and exercising more regularly. This year, I am urging everyone around me to write down their goals. Please take at least a few minutes out your busy day TODAY to write down some things you wish to accomplish for 2019. I am reaching out to everyone in our social network today as well (nearly 75,000) to remind them to write down their goals for they year, in case they have not yet done so. As you can see, I’m feel very strongly about this exercise because I know we ALL desire to be more successful, to have better relationships, and to be heather and happier people. We all want a better life, and your improved life can begin today if you’ll just carve out a little time to write down your goals for 2019. Following are some tips to get you started on your way to an unbelievable year. Figure out what it is you want to accomplish for 2019. Ask yourself why do you want it? Is it for my highest good and for the good of my loved ones? Mix up a few business and personal goals: Remember, all work and no play makes Jack a dull boy. Write your goals on something so that you can review them often. This year, I wrote them down on my phone and backed them up on a notepad. Share your goals with loved ones. Having a partner on the same page can double your momentum. Sharing your individual goals as a couple can be a wonderful way to bond and share a united dream. If you also want to keep a few goals private, allow yourself the space to do so. Get ready to see action! By setting forth to the universe what it is you need and desire, the law of attraction begins to work its magic. But don’t forget that you have to do your part and be ready to take action when opportunities are presented. Did you enjoy reading this motivational post? Realty411 magazine has been writing original articles, op-ed pieces, white papers, market reports and more since 2007. Our complimentary network has been the leader in complimentary, non-biased education for many years, be sure to join our free VIP NETWORKtoday to be the FIRST TO KNOW about our live events, special blog posts, magazines and more. We have zero corporate ties that may influence our editorial. Our only goal is sharing vital knowledge to keep our readers informed and safe. QUICKLY EXPAND YOUR BROKERAGE (OR REAL ESTATE INVESTMENT BUSINESS), LISTEN TO THIS WEEK’S SHOW. Are you ready to grow your brokerage business quickly and effortlessly? Whether you’re a seasoned top producer or a newbie real estate agent, you’ll benefit immensely from this week’s Realty411 Radio podcast show. This week, Realty411 Radio focuses on growth, expansion and increased productivity. And, we have an amazing guest that is going to help us navigate out of mediocrity and stagnation. Justin Ford, CEO of Michigan-based Encore Real Estate Group, has EXPLODED his real estate business consistently over the past five years. Starting as a rookie agent, with over 100 closed transactions in his first year of acquiring his license, Justin quickly expanded his brokerage to FIVE STATES in just the past two years. His goal is to have a brokerage in every state; and he plans on adding additional offices in 2019. How did he do it? Why is Encore expanding while other brokerages are shutting their doors? What is Justin’s #1 secret of success? Find out now… because Justin is ready to assist Realty411 listeners who also want to skyrocket their real estate business. University on Wheels in the way to expedite growth + explode your income. What is University on Wheels? It’s simply making your car a university on wheels by listening to personal and professional development podcasts during your commute. Some implement this technique further by listening to programs while their doing chores around the house, and at the beginning or end of their day. As real estate entrepreneurs it’s important to use our TIME WISELY. REMEMBER: Time is the most important asset we have, don’t wait a second of it. We want to help your mission of Growing, Learning and Transforming your life to a new level of success and abundance. Listen in to this week’s Invest Wisely podcast with our guest, Larry Goins, and learn transformational tips to take you higher. Larry is one of the most active investors in the country and he’s ready to help you grow your real estate portfolio too. JUST CLICK HERE to connect to our Invest Wisely podcast — Happy Investing! Justin lives in Metro Detroit with his wife and four children. The love and support of his family helps fuel his passion for success in all avenues that he pursues. Justin will introduce our guests to an amazing financial strategy: FOREX. Trading foreign currencies is a trillion-dollar a day industry and individuals, as well as institutions and corporations are capitalizing on movement of currency. All trading can be done on your phone, 24 hours per day. Justin and his team are actively trading on FOREX with a company that has opened up the knowledge and access to trading to average, regular people without a traditional financial background. Be Sure to Keep Up with Our Daily Posts – Tips, Techniques, Strategies and More! Join us for our Complimentary Conference and learn the latest strategies, techniques and tips from active investors from around the nation, including throughout Georgia, PLUS: California, Florida, Michigan, Missouri, Nevada, Texas and more! Learn about Private Money, Local Deals, Out-of-State Opportunities, Private Capital, Business Expansion, Wholesaling, Tax Liens and More. 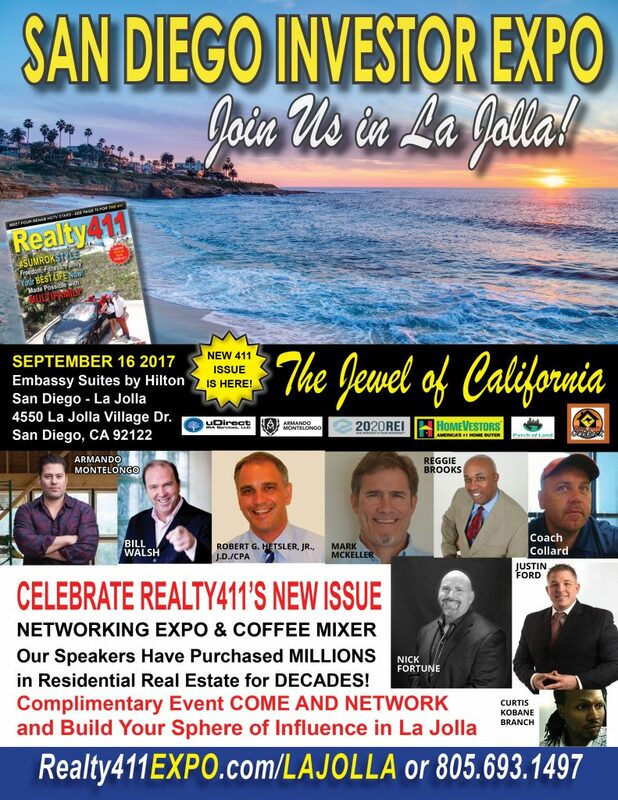 Los Angeles, California – Realty411, the nation’s only real estate investing magazine based in California and freely distributed online and on newsstands, grocery stores, libraries, and coffee shops, will finish 2017 reaching a new record of hosting educational events in eight states. This year marked Realty411‘s 10-year anniversary. The company began with an $800 investment in the fall of 2007 in Los Angeles. It secured advertisers immediately, the first backers made up from the publisher’s large sphere of influence as a national investor and referring investor agent. Most of Realty411′s initial advertisers are still engaged in the publisher’s life to date and also celebrated the success of the company, which began as a vehicle to disseminate knowledge and to motivate average Americans to grow their wealth with real estate. 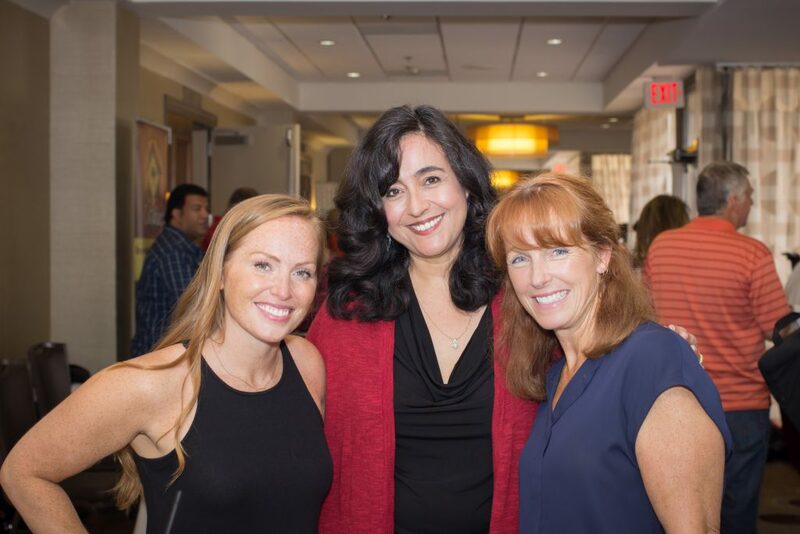 To ensure a phenomenal and ground-breaking year in terms of activity and reaching a large number of investors around the nation, Realty411 contracted four HGTV celebrity educators to appear at their events in Texas and New York, where fans were able to get up-close and personal with their favorite stars from the hit shows Good Bones and Listed Sisters. An aggressive national media campaign was also planned in the beginning of the year and executed monthly, with massive large scale media buys in top publications around the nation, reaching millions of consumers and business owners. Realty411 also secured numerous editorials and press coverage throughout the year in numerous languages. Additionally, a large number of live events were planned: 27 in total number for 2017, reaching people in eight states. The complimentary expos give guests the opportunity to learn about some of the most important companies in the real estate investing space in the areas of finance, turn-key providers, IRA companies, property managers, tech and software applications, plus more. Attendees also acquire strategies and market updates from some of the most sophisticated thought leaders and legendary REI educators, some with up to 40 years experience in the industry. To close out the remainder year, Realty411 will host five more live events in three states: California, Georgia and Florida. Florida, a favorite investor destination, saw a total of three Realty411 events this year alone reaching hundreds of people each time. Although 2017 was a special year marking the 10-year anniversary of Realty411‘s commencement in media, the company plans on continuing the pace for next year to ensure continued growth and prominence in an industry where investors often fall by the wayside. Many also quickly lose enthusiasm after realizing investing in real estate is a long-term endeavor, which requires planning, research and management to ensure success. According to Pliagas, her job and the goal of Realty411 is to ensure they stay in the game by giving them access to both: funding and plenty of support. She went on to explain the full details of the simple transaction she is currently engaged in: It is a $160,000 condo in an area where her family owns four other properties already. The ARV is $225,000 and the rehab costs will be about $12,000. She is utilizing zero of her own funds, as the purchase and rehab funds were obtained by a private money lender who she frequently does business with. The property was on the market one day before she swooped in. She is using another property as collateral to obtain a $200,000 loan to do the entire transaction. She plans on paying herself for the purchase and rehab management $25,000, tax free. (The funds are actually equity from her other property, used as collateral for this purchase, so it is tax-free income). She is leaning towards to then securing a traditional 30-year mortgage on the property purchased to pay off the private lender on the other collateralized house. Whereas the new property will cash flow and still have equity going forward, and the other property will return to being owned free and clear… ready to be leveraged again! It is these creative real estate nuggets that she and her columnists and educators at the events, freely share for people to learn. It is their personal testimonies of their first-hand investment endeavors throughout the many years in the industry. 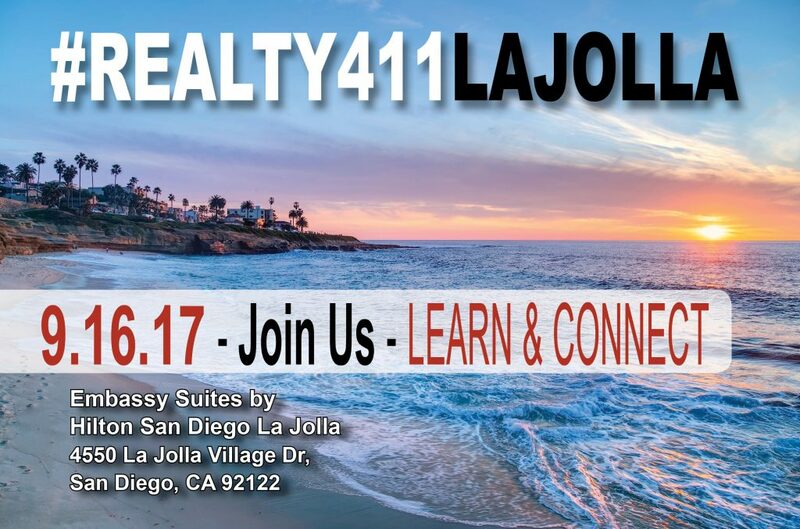 Besides providing first-hand knowledge of creative and diverse real estate transactions, Realty411 offers a forum to learn business tips, knowledge of stocks, and FOREX (foreign-exchange). Diversification and due diligence are always stressed at Realty411 events and within the pages of the publications they deliver. All savvy investors know real estate is cyclical and risky, but bills are not. Having multiple streams of income (MSI) is the new ROI for long-term real estate investors who know how to budget and balance their books, yet still live life to maximum capacity. Realty411 is currently working on two publications: REI Wealth Monthly featuring Propelio, and their staple, Realty411 featuring HomeVestors of America. Additionally, Realty411 will host five more events before the close of 2017. To learn more, please visit and explore their numerous websites, or phone Realty411 directly at 805.693.1497. Please click below for direct links to our diverse websites. 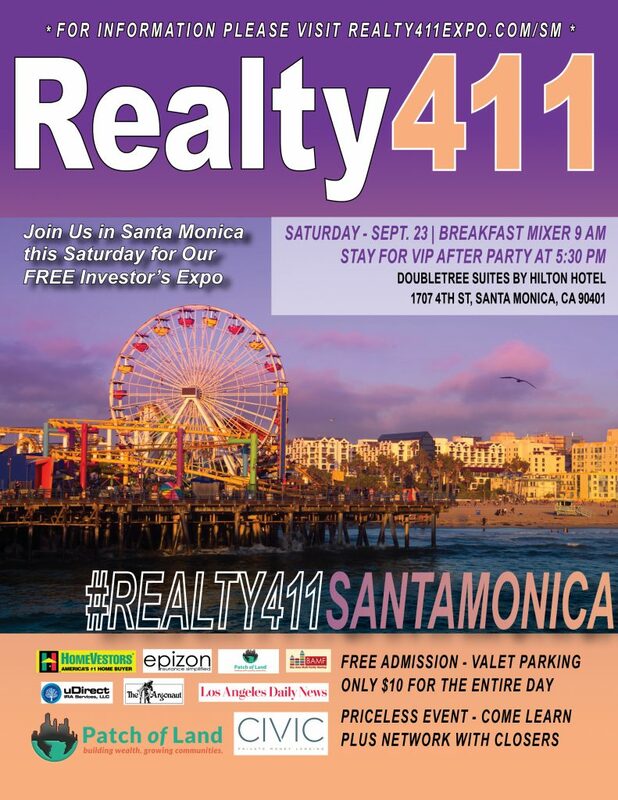 You are cordially invited to attend our Santa Monica Real Estate Conference this Saturday, September, 23rd. We are having an explosive event, chock-full of valuable information, coming to your area!! There is discount valet parking available for only $10 all day so come and stay a fun evening in Santa Monica, one of the trendiest areas of Los Angeles County. There will be FANTASTIC speakers with YEARS of experience, such as Dr. Albert Lowery, HomeVestors Of America, Black Belt Investors, Armando Montelogo and Kathy Fettke!! Meet real estate club leaders from around the world and finance experts who can help you FIND THE FUNDS TO CLOSE DEALS! Tickets are free, so reserve your seat, for yourself and those that would like to come with you, before they are all gone! Most events charge hundreds of dollars to learn the SAME INFORMATION and to meet the SAME SUPERSTAR SPEAKERS! The event starts at 9:00 am and ends at 5:00 pm. Regular registration for our coffee mixer is at 8:45 am.